Matthew McLennan Young The Rise and Fall of the Printers' International Specimen Exchange. Not all books have a plot, or a beginning and an end. I am not referring to Artists' books or directories, but rather sample books, like catalogues or salesman's specimens. And all periodicals have a trajectory: they are born, boom, and then decline and die. The Printers' International Specimen Exchange, which ran from 1880 to 1896, is a scarce work today, but it is very important in the history of graphic design. 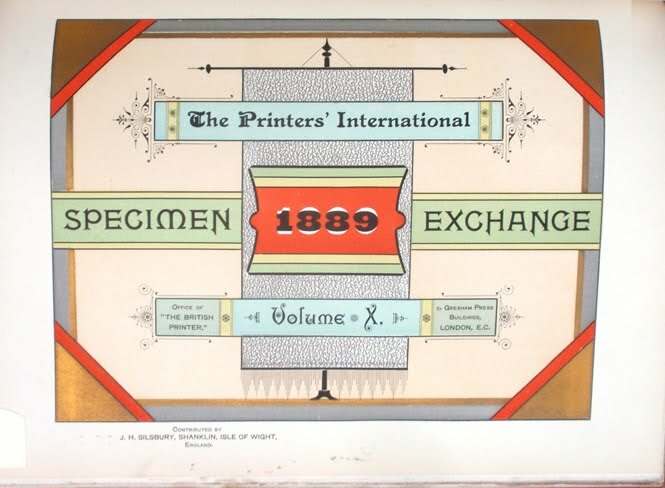 The Printers' International Specimen Exchange demonstrates how an ephemeral publication can have a major impact on aesthetics and the quality of work. 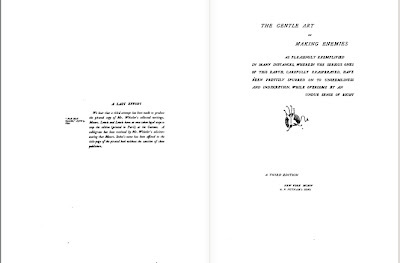 It also documents the growth of a movement known as "Artistic Printing" in the USA and "Leicester Freestyle" in England that ultimately gave birth to modernist typography, as seen in the work of Oscar Wilde, J. M. Whistler, and then in the twentieth century, in practitioners like Jan Tschichold, Karel Teige and Jack Stauffacher. 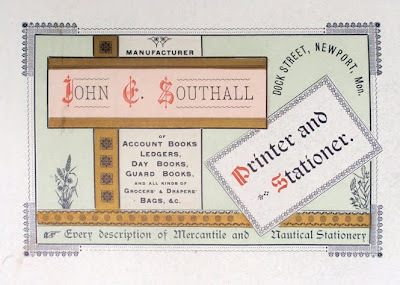 The idea germinated in Andrew Tuer's magazine, The Paper & Printing Trades Journal, that if 100 printers sent 100 copies of their best ephemeral work, the results could be bound and returned to the participants. It caught on immediately. 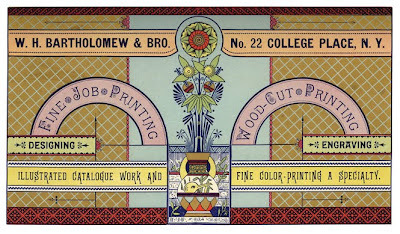 With Tuer's sometimes droll editorial comments on the work there was a marked improvement in the trade, and British printers soon caught up to the remarkable color work and rule bending going on in Cincinnati and Poughkeepsie. 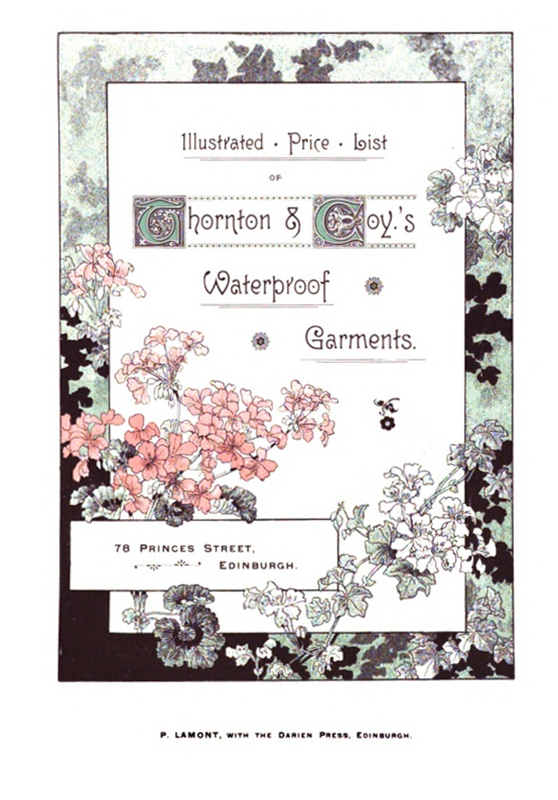 At his Leadenhall Press in London, Tuer wrote and published antiquarian compilations of children's literature and original books such as Luxurious Bathing, The History of the Horn-Book, London Cries, and The Kaukneigh Awlminek (where he coined the phrase "English as she is spoke"). For the latter, however, he was taken to task by his friend George Augustus Sala (prolific scrivener and likely co-author of the flagellation novel The Mysteries of Verbena House), for questioning Dickens' use of the Cockney idiom. Tuer thought Dickens orthography was obsolete (G. B. Shaw agreed); Sala, himself a Cockney, would hear of no such thing. 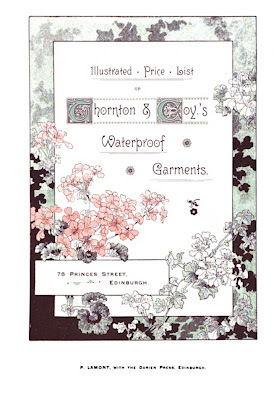 Andrew Tuer was a tireless correspondent, writing letters to the Times, Notes & Queries, the Pall Mall Gazette and the Athenaeum; he was an intimate of the Punch circle of artists and writers, men like George du Maurier and Phil May, and through his magazine he communicated with the leading printers of the day. 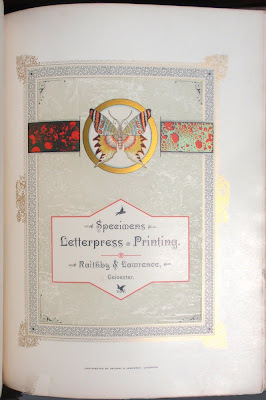 At the time America was the home of innovation, and the ephemeral jobwork of American presses was truly beautiful; today we can see this work was inspired by Japanese prints (that according to some accounts came as wrapping paper on ceramics after the opening of Yokohama to the West in the 1850s). By sharing their work with printers in England, Germany and elsewhere, the Americans transformed the look of print graphics in the West. 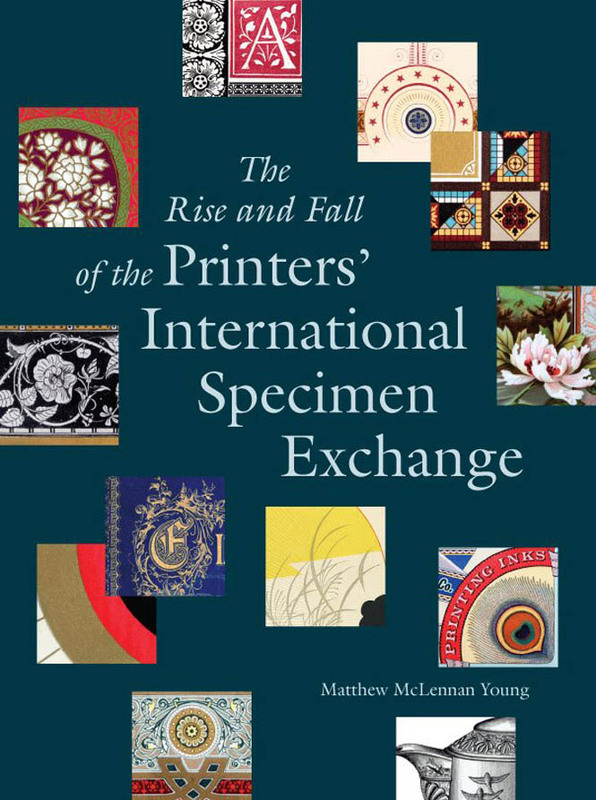 Even printers in Burma, China and Ceylon contributed to the anthology and printers from 28 countries were represented in the run of the Specimen Exchange. 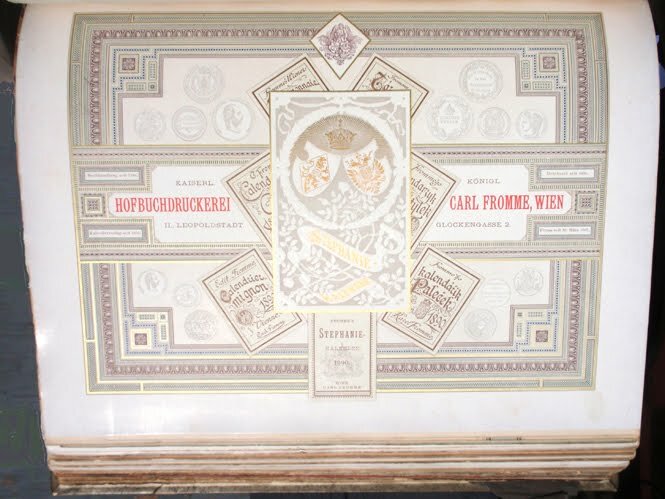 Tightly registered color work from Carl Fromm, Vienna. The Germans quit the Specimen Exchange after Hilton insulted them. 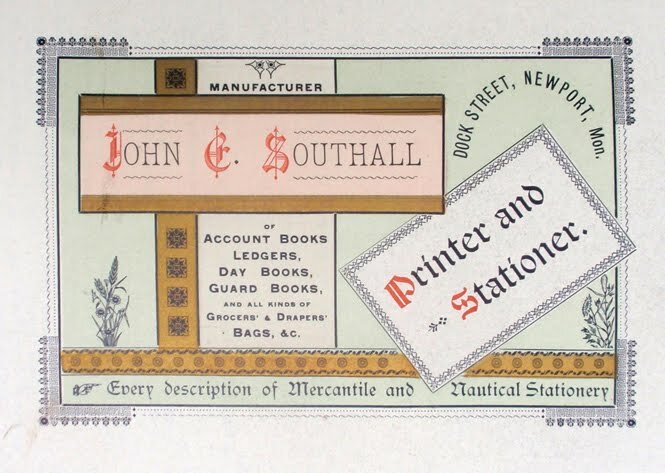 See how the compositor has balanced the page by centering the top four lines. 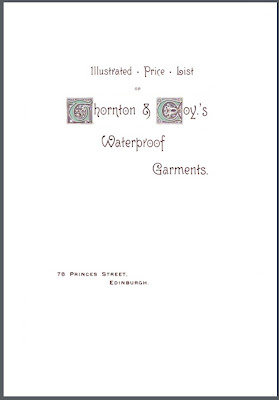 Then "Garments" is set off (perhaps that should read "Garments are cast off") to the right and counteracted by the weight of the imprint which is staggered to the left. There's a confident new approach to spatial arrangement at work here, and we see it in the typography of contemporary books as well. 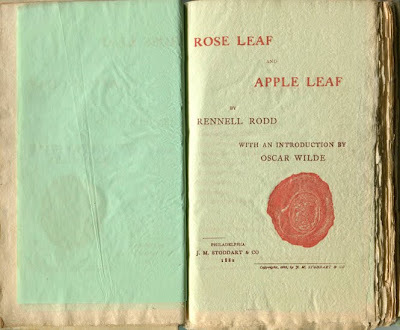 Here you can see the effect in the 1882 edition of Rose Leaf and Apple Leaf by Rennell Rodd, printed by Joseph M. Stoddart of Philadelphia, with typography suggested by Oscar Wilde who arranged for its publication. Wilde's arch-rival John McNeill, famed son of "Whistler's Mother," also used asymmetry, though a bit more awkwardly, in his books. 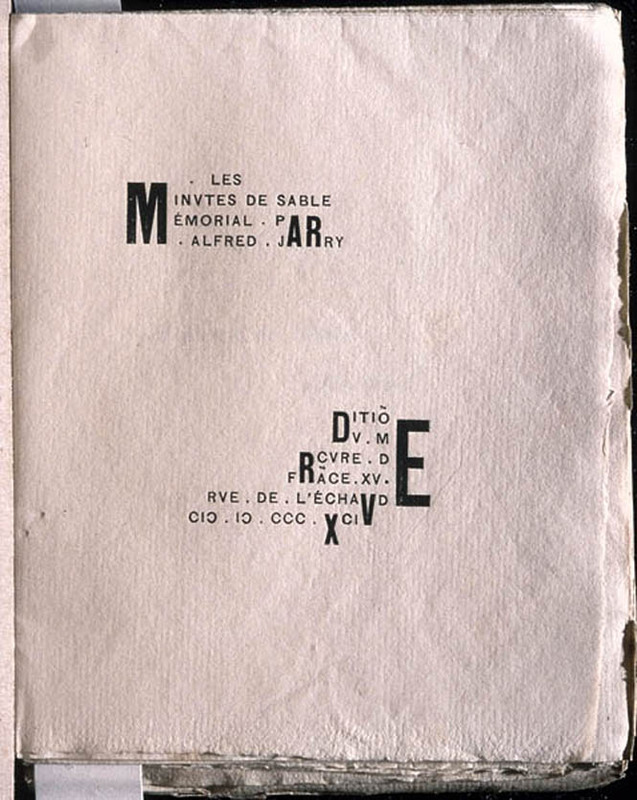 By 1893 the new visual syntax was widely accepted in publishing. Here's a nice example of a charming story by Joseph Ashby-Sterry (note that this copy was inscribed to G. A. Sala), found in the CAL stacks. The central axis has been shifted to the left. 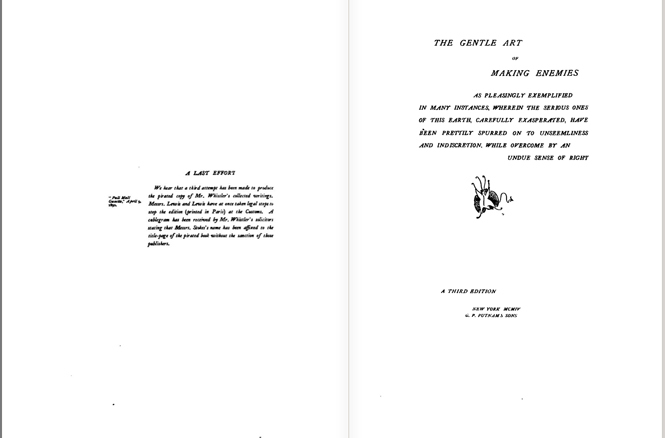 Go back a page and look at the half title, which is also asymmetric. 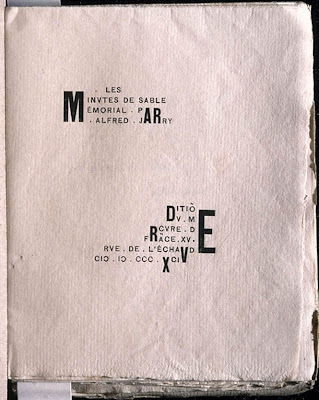 Now consider Alfred Jarry's first book, Minutes of Memorial Sand, from the following year, clearly a forerunner of Iliazd and the Russians of the Revolutionary period. 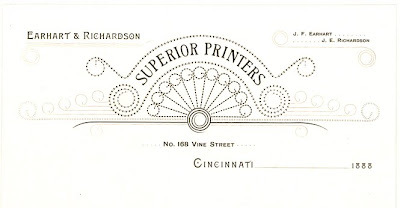 It's not too big a jump to the "Modern Typography" espoused by Frederic Ehrlich and others and the myriad examples he gives of how it's done. From there it spreads out into the mainstream. 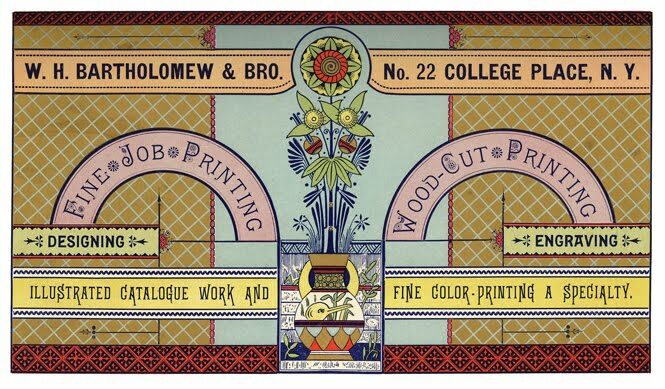 But to get back on course, if you are interested in the history of graphic design, Matthew Young's new book is a wonderful account of a lesser-known part of the story. 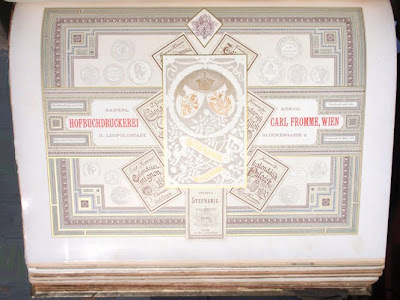 It's handsome and lucidly presented and worth your time and attention. 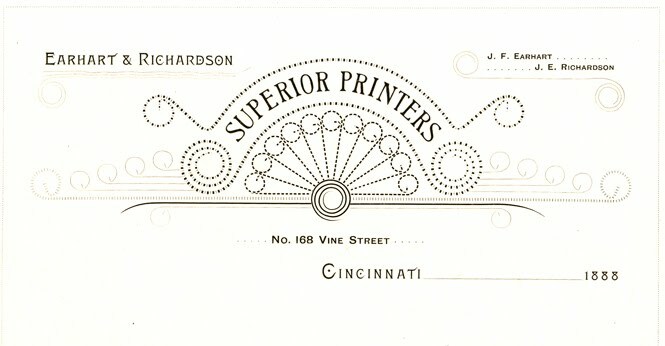 These specimen sheets bring 19th and early 20th century typography to life.